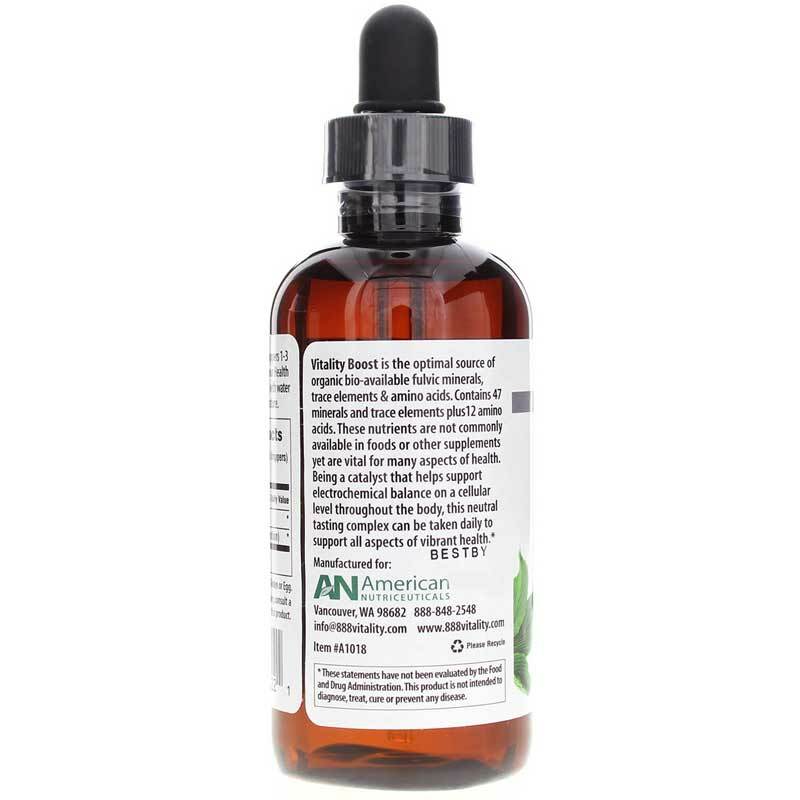 Vitality Boost by American Nutriceuticals is a high quality liquid organic mineral supplement with easily digestible and bioavailable organic mineral complexes and amino acids to support vibrant health. Vitality Boost offers a rich source of bio-available fulvic minerals, trace elements and amino acids chelated from ancient plant matter. An excellent transporter of energy-rich nutrients, fulvic acid also increases your body's capacity to absorb these nutrients through your digestive system. It helps your digestive system process vitamins, minerals, proteins and herbs. 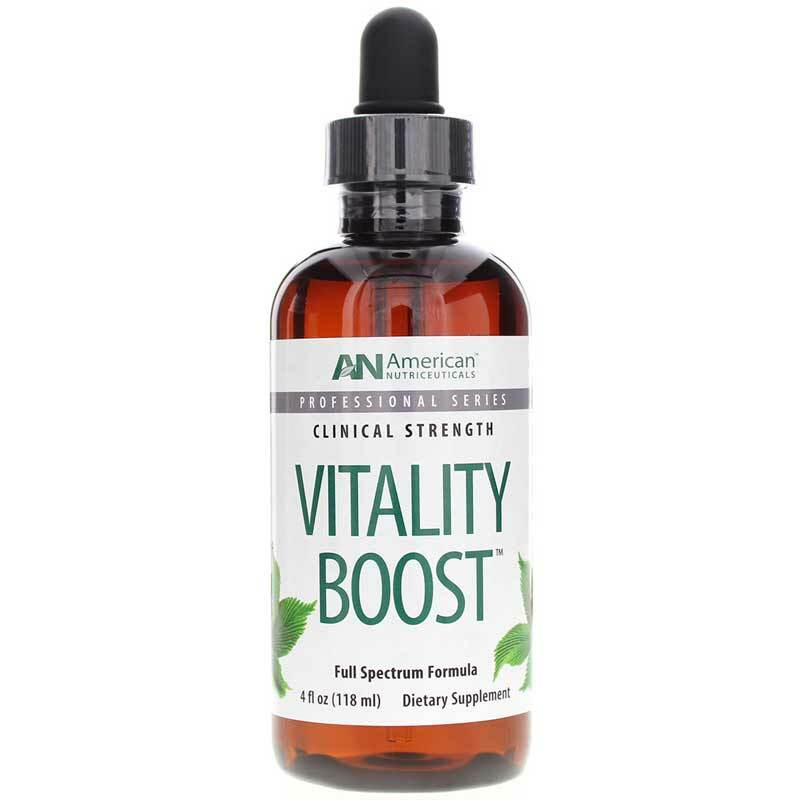 Vitality Boost is also a potent source of organic bio-available minerals, trace elements and amino acids. 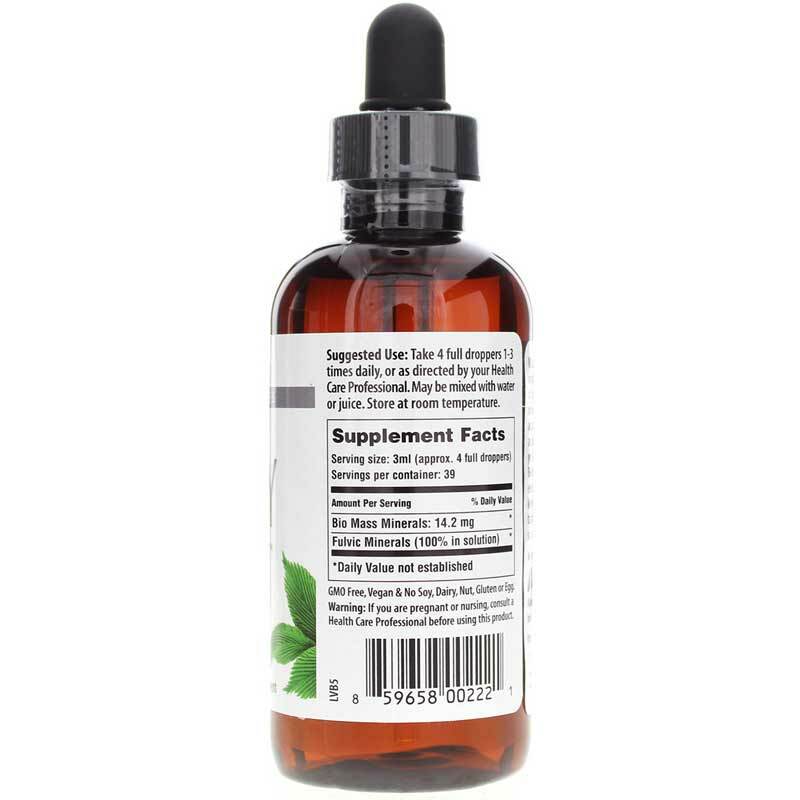 This vegan formula contains 47 minerals and trace elements, as well as 12 amino acids. And this formula's antioxidant and cleansing properties mean it can be taken daily to support body functions. To use as a dietary supplement, adults can take one to two ounces one to three times a day, or as directed by their healthcare professional. You should refrigerate this formula once you have opened it. Other Ingredients: Reverse osmosis de-ionized filtered water. Contains NO: GMOs, soy, dairy, nuts, gluten or egg. Vegan. Antimony, Barium, Beryllium, Bismuth, Boron, Bromine, Calcium, Carbon, Cerium, Cesium, Chloride, Chromium, Cobalt, Copper, Dysprosium, Erbium, Europium, Fluorine, Gadolinium, Gallium, Germanium, Gold, Hafnium, Holmium, Indium, Iodine, Iridium, Iron, Lithium, Lutetium, Magnesium, Manganese, Molybdenum, Neodymium, Niacin, Nickel, Niobium, Osmium, Palladium, Phosphorous, Platinum, Potassium, Peaseodymium, Rhenium, Rhodium, Rubidium, Ruthenium, Samarium, Selenium, Silicon, Silver, Sodium, Strontium, Sulfur, Tantalum, Thorium, Tellurium, Terbium, Thulium, Tin, Titanium, Tungsten, Ytterbium, Yttrium, Zinc, Zirconium. Alanine, Glutamic Acid, Glycine, Histidine, Isoleucine, Leucine, Methionine, Phenylalanine, Serinine, Threonine, Tryptophan, Valine. Adults: Take 4 full droppers 1 to 3 times daily, or as directed by your healthcare professional. May be mixed in water or juice.